Thames Water, the UK’s largest water and wastewater services company, has appealed to women to turn the shower off whilst they shave in a bid to save some of the 50 billion litres of water they claim are wasted per year. 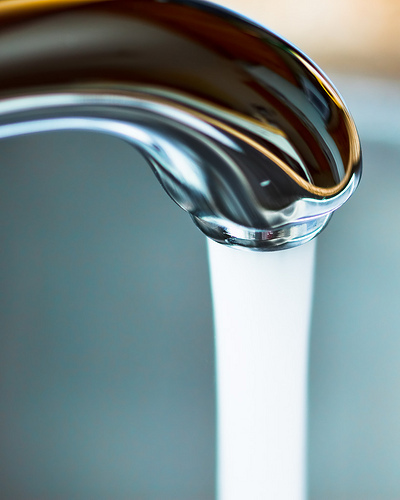 According to the water provider, a third of women are guilty of wasting enough water annually to supply all homes in London for 25 days at a time of low rainfall. In their provocative press release, the company made no mention of what efforts men could make to reduce their water outlay. Why the company has decided women’s shaving habits are the biggest challenge to environmental water use is anybody’s guess, but it’s certainly not a particularly savvy PR move when Ofwat, the water industry regulator, suggest Thames Water lost 669.9 million litres of water a day – equal to 32% of the total it delivered – through leaks in 2009/10. WVoN comment: It is reasonable that the company might want a change of tack from the sensible but low-impact water-saving spiel, but given Thames Water’s own research indicates 90% of people feel guilty about wasting water, honing in on a particular group of consumers seems ill advised given it is only a fraction of their own colossal wastage. I heard this on the radio yesterday, most odd! It seemed to be the result of a survey – I wondered if it was sponsored by an epilator manufacturer, it seemed such a strange topic to ask about. I do hope they surveyed men about *their* shaving habits too. Not much to shaving for a man, 15 seconds with a razor in a hot shower does it for me.